Anxiety disorders have their own unique sets of symptoms. The symptoms can be used as a diagnostic tool to assess what anxiety disorder (or combination of disorders) you may be suffering from. The information on this website covers the most common anxiety disorders and their physical and psychological symptoms. It also answers common questions such as "what is anxiety, why do people get panic attacks, what are the most common anxiety disorders, does traditional treatment really help and perhaps most importantly of all - how to successfully overcome anxiety disorders and recover from the symptoms". If you've had enough of searching for information and are genuinely ready to recover from your problem, it may be a good idea to go straight to our anxiety treatment page. Stress and depression, although serious in their own right are not a useful diagnosis if your real problem is an anxiety disorder. If your diagnosis is inaccurate then the likelihood of your treatment being effective is very slim. Being told you have a 'chemical imbalance' is essentially a GP saying they're too pig-headed to admit they don't know what's wrong with you or that they don't have time to go into detail because your seven minutes are up. The truth is that everyone has a chemical imbalance and if you didn't you'd be like a flat battery - dead. Chemical imbalances are what make you function and give you life - they don't cause stress, depression or anxiety disorders. Thus when a GP makes reference to a chemical imbalance (with respect to anxiety) - they're palming you off. The other issue is that a GP is a general practitioner. This means that they have to know a little about everything. Thus the odds of them having specialised knowledge and experience with anxiety disorders is very slim. If you don't feel happy with your GP's initial diagnosis it could be your intuition telling you that they have it wrong. With this in mind it's a good idea (if you intend to pursue treatment through the NHS) to ask for a referral to an anxiety disorder specialist. What is the best NHS treatment? Many people misunderstand the roles and abilities of these professionals - mainly on the grounds that their GP doesn't bother or have time to explain them. We'll offer some general information here. Clinical psychologists are essentially report writers and statisticians. They ask questions, tick boxes, fill in forms and prepare reports for other professionals such as GP's and psychiatrists. Basically their job is to pigeonhole you with a label. Thus if you want a potentially more accurate diagnosis (and label) for your condition than your GP could give you alone - then this is an option. However, a psychologist will NOT help you to recover. It is not their job to treat you... merely to label you and pass on the information to another professional. Counselling is repeatedly misrepresented in the media and particularly on daytime TV shows. Counselling is NOT a cure for all things psychological. It's true that counselling can be very effective in many areas... but not for anxiety disorders. You'll find out why on our anxiety disorder page. A psychiatrist treats mental disorders predominantly with drugs. If you firmly believe your anxiety disorder was brought about through a lack of medication in your system then maybe this will help. However, back in reality drugs have never been a long term solution for anxiety disorders. They don't address the underlying problem and merely suppress the unpleasant symptoms by sweeping them under the carpet. Thus the real cause behind your anxiety continues to run in the background, potentially getting ever stronger. So, guess what happens when you try to come off the medication? For more information on why medication doesn't work long term for anxiety disorders - read more on our anxiety disorder page. Cognitive behavioural therapy (CBT) is probably your best option for a solution through the NHS. Unfortunately there are two problems with getting CBT through the NHS. The first problem is that they have very few cognitive behavioural therapists and their waiting lists tend to be huge. The second problem comes about through NHS policy. Basically the NHS will only permit their therapists to use tools and techniques that are classed as 'evidence based'. This means that men in white coats have done numerous scientific tests to 'prove' certain things work (statistically speaking). Unfortunately, in our opinion as anxiety disorder specialists, the NHS insisting on 'evidence based techniques only', actually rules out the vast majority of what is genuinely useful in the CBT field. Thus if you insist on NHS treatment there is quite a compromise to consider. Fortunately the news is not all bad. 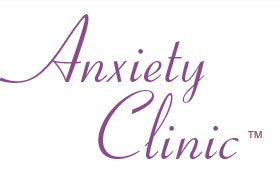 We have been helping people overcome anxiety disorders for over fifteen years at our established Anxiety Clinic. We don't employ report writing psychologists, we don't dig up your past like counsellors, we don't prescribe drugs and nor do we have policies where we rule out useful tools and techniques which could potentially help you. "All my life I have been a nervous, anxious sort of person, I just thought that was in my nature, but I was getting gradually worse with almost overwhelming anxieties about work, home and life in general. If I didn't have anything to worry about I would go and find something. Some days I didn't even want to get out of bed - which is not good when you have a full time job and a husband & family. On top of that, losing my Mum to cancer a few months ago was almost unbearable but I didn't feel like I had time to grieve with all the practical things to deal with; there was no enjoyment in my life, just a never ending treadmill of tasks with no end in sight. Anti-depressants were making me want to sleep all the time, which didn't help me at all. That's when I decided to go to the Anxiety Clinic. My Consultant put me at my ease at my very first session and showed me that there is no need to suffer. Looking back, I can hardly believe how I used to be, but over four sessions he gave me the tools I need to take control of my life, feel happy and be able to cope with anything life throws at me. Yes, I still get anxious about stuff (I'm still human!) but the difference is that now I can control my emotions and stop myself being swamped by them - for instance, instead of fuming for days about something my boss might have said at work, I recognise my reactions, take control and can literally deal with it in a few minutes to avoid hours of stress. Life's too short ! Another unexpected bonus is that I feel able to control my eating habits as well, and losing weight is making me feel even better about myself. I just wish I'd heard about the Clinic before I got to 50! If you are wondering about contacting them I would say don't hesitate, you cannot put a price on feeling relaxed and happy and it has certainly worked for me." "When I first started going to the Anxiety Clinic I was suffering from panic attacks, chest tightening and had developed a fear of dying - I think from experiencing bad panic attacks. Three weeks on and I am a totally different person and my outlook on life is so different. I feel a weight has been lifted and I can see reality more clearly. I have so far not had any panic attacks or 'strange episodes' and I'm so glad I met my consultant Adam Aitchison. I feel positive about my future and confident I am in control of my feelings. If like me you have been to the doctors and the ONLY solution they gave you was tablets please think of the Anxiety Clinic, it's worth six hours out of your life!" As mentioned earlier we don't do any hard sell here. We like to give honest (and sometimes very blunt) information and let you decide for yourself what's best for you to do. If you want to continue searching the internet, take medication or try counselling - that's fine by us. All we want to do is make you an offer. We can help you overcome any anxiety disorder in a matter of weeks. Although we run an established Anxiety Clinic in Staffordshire, we also help people nationwide through Online Consultations. Thus no matter where you're located in the UK - you can have access to our specialised Consultants from the comfort of your own home. Working online keeps our overheads and operating costs down so we can offer very, very competitive fees to our online clients whilst at the same time providing the same specialised knowledge and skills our face to face clients have become accustomed to. If that's not enough we also provide a no quibble satisfaction guarantee, where if you're not fully satisfied by the end of your Initial Consultation - there will be no charge. So if you decide at any time during your Initial Consultation that our service isn't for you and you don't want to continue working with us - you will owe us nothing. Perhaps the question to ask now is "What do I have to lose besides my anxiety disorder?"